political and economic changes in this century. A lively case study of an infertile queen who flees the palace sets the stage for discussions of the ethnographic and historical setting, the symbolism of fertility and infertility, and the development and interaction of cosmopolitan and ethno-gynecologies. The book concludes with an analysis of the links between women's role in human reproduction and the divine king's role in social reproduction, both occurring in the rapidly changing context of a multiethnic African nation. 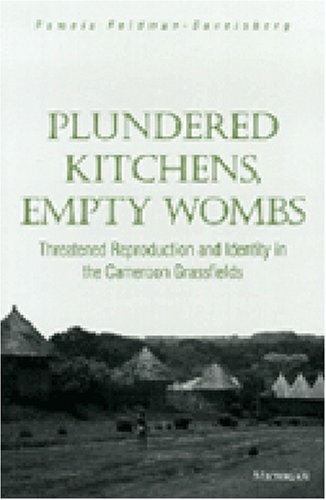 Plundered Kitchens, Empty Wombs underscores the relevance of medical anthropology to other anthropological specializations, as well as to epidemiologists, population specialists, and development planners. It should reach a broad audience in medical anthropology, public health, and women's studies. Pamela Feldman-Savelsberg is Assistant Professor of Anthropology, Carleton College.